Every now and then I get asked the question: "So, what brought you to Paris..?" or, "how did you just, you know, move to Paris like that?". I secretly love being asked this question because it transports me back to a time in my life where I finally had the courage to fulfill a dream that was filed away right at the back of my head. The very first I'd love to live in Paris one day! seed of thought was gently sowed into my 25 year old head in April 2008, on a quick trip across the Chunnel. I had just moved to London a few weeks prior and was visiting a dear friend of mine for her birthday (the same friend who had introduced me to Rob Ryan's beautiful artwork). I had visited Paris before in 2005 but something was different this time around. I fell for the City of Light, hard. I remember proclaiming to my friend that exact phrase: "I would love to live in Paris one day, one day..!" And so, as expected, the days, months and years passed and before I knew it I was back in Australia, in my stable grown up life with a great job as a pharmacist in the largest pharmacy of the company I worked for. It was 2011. Where did I plant that damn Paris seed? Did we plant it too deep..? Did we lose it..? Or had my subconscious and I just given up on the idea.? In early August that same year, I found myself on the Eurostar again heading to Paris from London with one of my dearest friends, Alice. I remember telling her if I was 40 and had no ties, I would just pack up my life and move to Paris or somewhere in Italy or maybe even Spain. She turned around and said to me at that defining moment of my life: "Nhan, err, why are you waiting until you are 40..? Why don't you do it now? You're 29, haven't you got a year left on the Working Holiday visa..?" I think we had geo-localised my seed at that point in time, thanks Al..! My eyes widened and I remember being in a little self-induced state of shock. I mumbled to her something along the lines of: "Really? Do you think so? Oh my god... Um okay...?!" Over the next year I made all the necessary arrangements and preparations to grow that seed and make that dream a reality. Not just entertain the idea, but seriously entertain the idea. 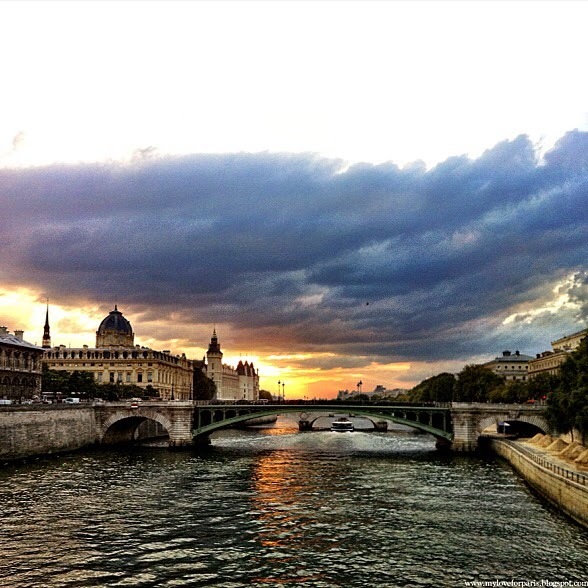 If you have a love for Paris, a penchant for all things French, cultivate those interests. Daydream, surf the net, read, watch, listen, taste, smell, touch. Dream a little. You don't have to commit to anything yet. Just think, you know, hypothetically, if I moved to Paris for 3 or 6 months, rented an apartment, took some French lessons, lived in Paris over the Summer.. would that really be THAT crazy an idea..? Would things really fall apart in my absence..? Think about it, sleep on it. Talk to your family and friends. Write it off temporarily. Walk away from the idea for a bit. If after a week or so you're still thinking about it, then your subconscious might be trying to tell you something. This one is pretty easy. Although you might just need to arrange to have someone pinch you when you make the decision because you won't believe that you have actually made the decision. Consider how long you can reasonably leave your job, mortgage repayments, family, friends, gym membership etc. Three months is easy on a standard tourist visa for most countries. Six months is possible on a long stay visa as long as you have the sufficient funds. It's not fun to think about money now, but this helps you determine a date in time. I saved for a year because I wanted to have all my rent money covered for a year in Paris before I got there. If you're going for 3 months, you might not need as much money. Either way, start budgeting how much money you will put aside to make the most of your time there. Also, depending on which visa you choose, make sure you have proof of the required funds for the corresponding visa. 7. Apply for the visa! Make sure you have all the documentation required. Double check then triple check. You will most likely need to make an appointment at the French consulate in your country and may even have to fly to get there for the appointment. You don't want to be missing a piece of paper or two. This is really important. You'll thank your former pre-Parisian self a million times over. One of the greatest challenges of living in Paris besides the obvious cultural barrier is the language barrier. The initial novelty of not being able to express yourself because "haha I feel like I'm on holidays" is lost after a few days. You'll soon start to feel frustrated from not being able to manage everyday activities. Plus, you will be able to get more out of your experience and feel like a local, instead of a tourist when you can communicate more effectively! 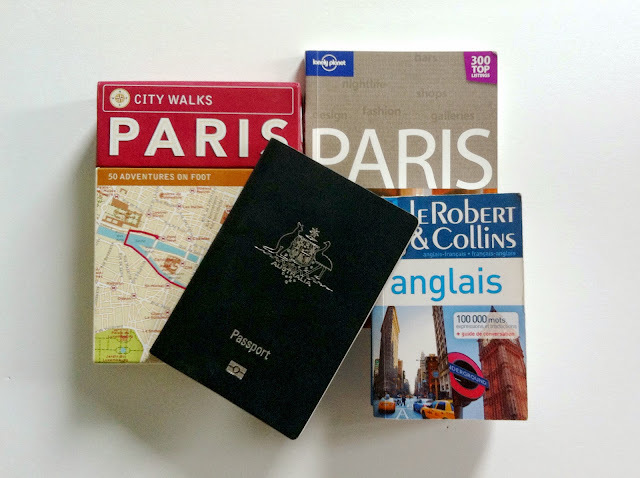 Check out my 15 French Language and Cultural Tips blog post to start. You should have received your visa by now. If you're from Australia, sometimes it's cheaper flying into London then hopping onto the Eurostar to get across the pond. For Americans, your flights are way cheaper than ours! Especially if you travel through Iceland or something. For other countries I'm not too sure, but I always like to use skyscanner to compare prices. Research where you want to live (airBNB is a good starting point), if you want to take any classes e.g. French language, cooking, pastry, wine appreciation.., if you want to take part in any social events e.g. language exchanges, meet ups, group events..
Research what kind of work you want to do/have the time to do/can do. Or, alternatively, if you just want to live the Parisian life, have croissants and hot chocolates every morning in cute little cafés and stroll around the beautiful streets, research the museums, parks, galleries, cafés, restaurants, boulangeries, patisseries, markets, boutiques you want to visit. Oh and don't forget the little villages, castles, day trips not too far/far from Paris you want to do! Read forum posts and threads, articles, blogs, books so you understand the full spectrum of what to expect. It won't be peachy all the time (especially if your stay is a little longer) but if you go in with a fairly clear understanding of what to expect, you will be more mentally prepared and you won't allow any little incidents to tarnish your Parisian experience. Check out my 10 Ways to Avoid Pickpocketers/Scammers/IPhone snatchers in Paris blog post to start. Take a deep breath because you are about to experience a once in a life time experience. About to link this to a friend of a friend trying to move to Paris for a year! Yes please do! Thanks Kim :) Now tell me, when are you back in town...? Merci pour ton commentaire Iris! C'est un plaisir de lire tes questions! En fait, je suis en train de preparer un blog post avec les informations, les liens, les ressources pour bien s'integrer, s'installer et profiter du temps en France. Par rapport les amis, je trouvais que si tu rejoinds les groupes internationaux, les groupes pour exchanger les langues etc - c'est plus facile de rencontrer des amis francais et internationaux. Reste connectés pour le prochain poste..! I love all your blogs! I keep on following.. Merci for writing about the life in Paris and the reality of being Parisian! Keep on writing..its so informative and helpful! I just saw your comment! Thanks so much Sahlee - I have so many unfinished blog posts because I've been so busy with work but I will definitely get back onto it soon!! Is there anything else you find interesting about Paris you'd like me to blog about..?? So sorry for the late reply, it's been so busy over here, I've been neglecting the blog but will get back into it soon!! Don't let the 3 young children make you nervous - there are loads of expat support groups out there with people going through the same thing. 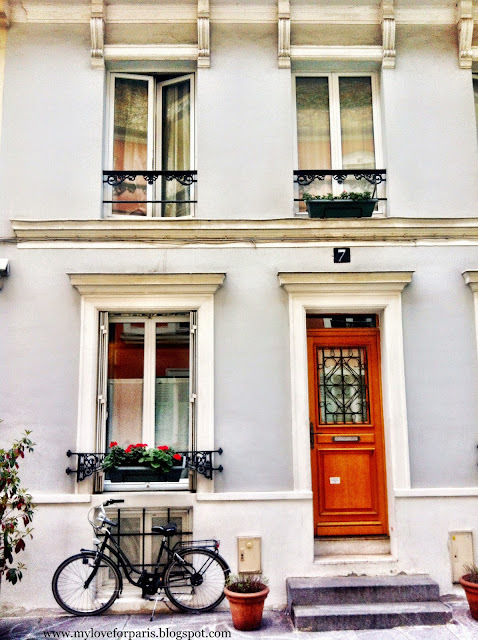 I am working on a post about all the resources available to those wanting to move to Paris! Have you got a time frame in mind..? OH LATOSHA! I don't know why but your comment has been going to my Spam box for some reason, I just found a whole bunch of other comments that had gone there (some of them actually spam). I'm so sorry I wasn't able to point you in the right direction when you originally asked this question! If it's still any help, depending on what country you are currently living in, the visa should be the "LONG STAY VISITOR VISA" or something like that - you'd need to double check with your French consulate though, they'll know better. If you are still heading to Paris in October, send me an email on myloveforparisblog@gmail.com and I'll send you some links and groups you can join to make the most of your 6 months!